However what many will consider ‘a side show’ by comparison to the more than a million dead Iraqis and thousands of dead and wounded American and British soldiers, needs further investigation and reflection. 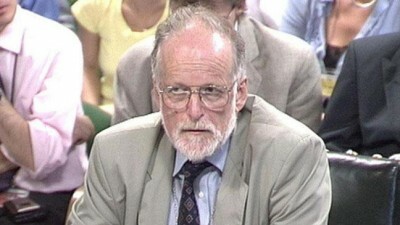 That is the case of one of Britain’s foremost scientists, Dr. David Kelly, who allegedly committed suicide. The justification used by the US and UK, of the existence of WMDs in Saddam Hussein’s Iraq was that Iraq posed an immediate and imminent threat to the West – now known to be an absolute falsehood; a complete lie. We must never forget the demise of Dr. Kelly in 2003, whose mysterious death in woods near his home, as he was, amongst other things, one of the most senior weapons inspectors that visited Iraq on numerous occasions on behalf of the UN prior to its invasion. Before giving more detail, two comments are important to mention at this point. First one by John Scurr, a world renowned vascular surgeon is reported as saying that he does not believe it possible that Dr Kelly died in the manner officially stated. And second a report that a former British Ambassador, David Broucher was called to give evidence to the Hutton Inquiry into Dr, Kelly’s death, after telling Foreign Office colleagues of an extraordinary remark Dr Kelly made to him shortly before he died. Dr Kelly told him he thought he would be ‘found dead in the woods’ if Iraq was ever invaded. Some of the more outrageous ‘conspiracy theorists’ claim Kelly was assassinated by a foreign intelligence service, some name the CIA or Private Military Contractors at the behest of the CIA but predictably can provide no evidence. It is worth revisiting again the narrative provided by the UK Government as regards the death of Dr. Kelly because of its potential relevance to a repeat of ‘regime change’ that might occur soon in Venezuela and the justifications that may follow such an action. For the record Dr. Kelly worked at various MoD facilities in the UK and frequently at Porton Down, as head of microbiology. Kelly worked with other scientists at Porton Down in Salisbury who have also died under questionable circumstances, for instance, Dr. Richard Holmes, whose body was found in the same woods as Dr. Kelly, in 2012, two days after going for a walk, and one month after resigning from Porton Down; and to Vladimir Pasechnik’s death in November 2001, another Russian defector, who allegedly died of a stroke. His death was not publicly announced until a month later. Dr. Kelly had been involved in his debriefing when Pasechnik left Russia. I defer to Norman Baker who provides us with a more forensic examination of the facts as we know them today. So below is a video of approximately one hour length presented by British MP, Norman Baker, who articulates brilliantly many specific inconsistencies related to the claims that Dr. Kelly killed himself. The video speaks for itself and I hope stimulates readers to consider the many ramifications should it be proven Kelly was murdered. This video was published on 1 Jun 2018 on YouTube.